With a vacant furniture warehouse in hand, a group of local developers is now ready to proceed with plans for more office space in Scott’s Addition. 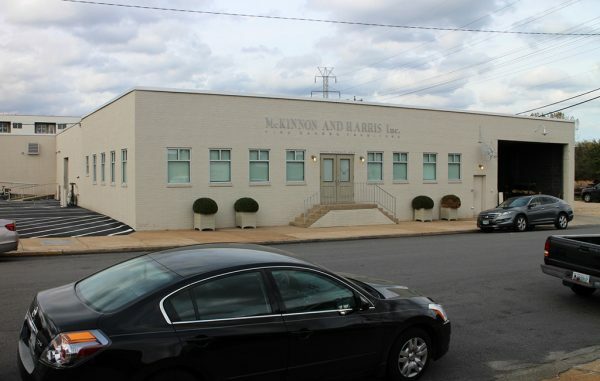 The old McKinnon and Harris building at 1806 Summit Ave. was purchased this month for $2.5 million by neighboring property owners Brad Cummings and Spy Rock Real Estate Group. 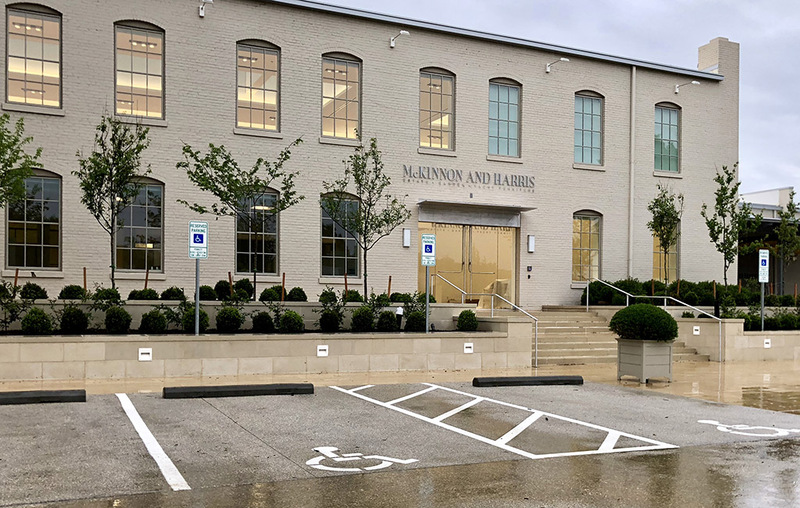 The group put the 36,000-square-foot property under contract in October 2017, as McKinnon and Harris was building its new 65,000-square-foot headquarters and warehouse at 1722 Arlington Road. The company, which makes aluminum outdoor furniture and has been in business in the neighborhood since the early 1990s, vacated the space this week and has since moved into its new digs, following a $9 million renovation to the once-derelict property. That allows the new owners to get to work converting the building into office space, dubbed 1806 Summit. Spy Rock is behind the adjacent mixed-use development at the former Symbol Mattress Co. site, The Preserve in Scott’s Addition and Midtown Apartments in the Fan, which are part of a portfolio of apartments the group has on the market to sell. Cummings owns the next-door 1800 Summit Ave. building that houses Reservoir Distillery and Monument Consulting, the HR firm he sold in 2014. Gareth Jones and fellow JLL broker Jimmy Appich are marketing the 1806 Summit property, looking to fill the 65-year-old warehouse with office tenants that need as little as 2,000 square feet or the entire building. While no leases have been signed, Jones said two letters of intent are in place from prospective tenants. Work is slated to begin on repurposing the property in coming weeks, with delivery set for fall 2018, Gareth said. UrbanCore is the project’s general contractor. Architecture AF is designing the space. PermitZip is doing the mechanical, electrical and plumbing drawings. Basham would not disclose an investment estimate for the redevelopment. TowneBank is financing the project. 1806 Summit joins several other office projects in the works in Scott’s Addition. Matt Hamilton, broker with Colliers International, and his father Tom Hamilton, principal of Henrico-based architecture firm Thomas Hamilton & Associates, are set to begin rehabbing the old industrial building at 2916 W. Marshall St. into modern office space. The Spur, a planned mixed-use development at the old the Phipps & Bird facility at 1519 Summit Ave. and 3015 Moore St., has signed on three tenants that include law firm Roth Jackson and private equity firm Blue Heron. 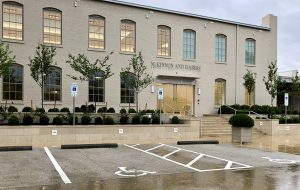 2 Comments on "Scott’s Addition building sells for $2.5M"
Spyrock continues to build its legacy in Scotts Addition as that area undergoes a remarkable change. isnt it time to rebrand that community and call it something that is more forward looking? what exactly is it an “addition” to? I think it can stand on its own now! It is named Scott’s Addition because the land was once owned by General Wingfield Scott, who received the property from the Mayo family. When Scott sold the property to the City of Richmond, it became an addition to the city’s grid pattern of development, hence Scott’s Addition. No we should not rename the neighborhood, whose name has connections to some of the most important figures in Richmond’s history, just because the development community is currently pouring money into the neighborhood.